This year, they are pitting 18 action heroes against one another in a variety of randomly selected locales in what they’ve dubbed the “Last Action Hero” tournament. 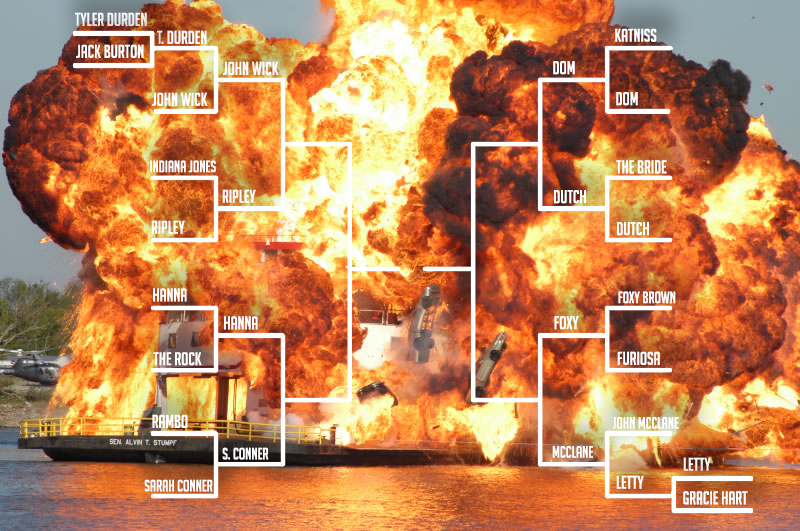 This week, John Wick, Ripley, Hanna, Sarah Conner, Dom Toretto, Dutch, Foxy Brown and John McClane compete in the Elite Eight round. Was Ripley secretly a club kid? Did The Avengers even bother to call Hawkeye for Infinity War? Should Foxy Brown and John McClane just team up to take down the competition? The answers to these questions and more are on this week’s show. Two young folks travel a great distance to start their new lives. Adventures ensue. Marty and Jonathan squeeze in a toga party. Did they stay long and did they have fun? Yes they did. Sorry, they don't have time to wait for your guesses.